You know how it goes. 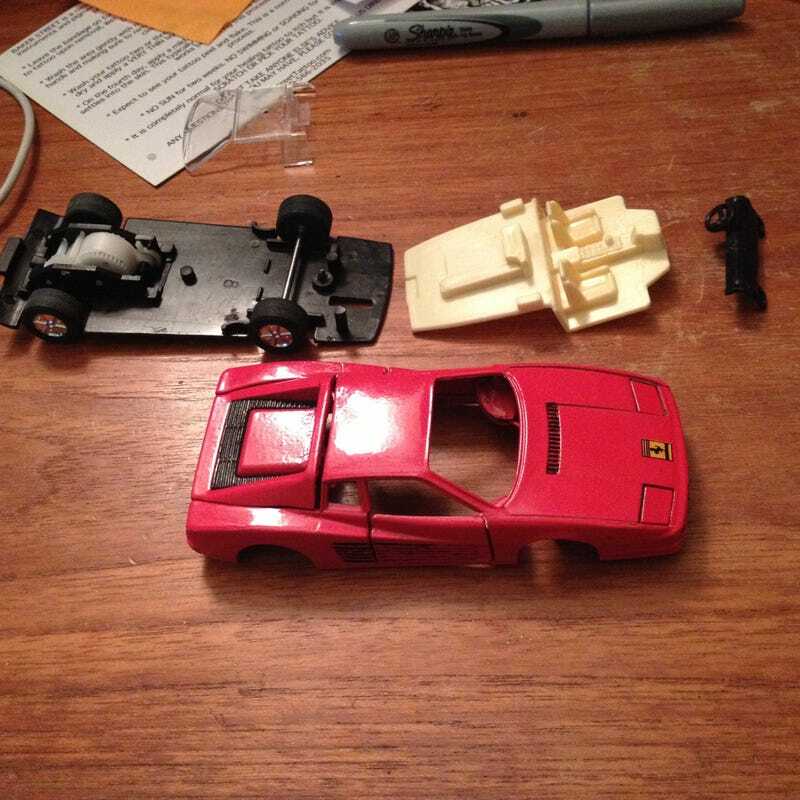 You buy a Ferrari and get it home and realize that its missing taillights, the interior has some problems and the details are just slight off. The engine bay is tan. So its time for a frame off restoration. Details fixed: headlights painted, tailights painted, front reflectors and fog lights painted on, front splitter painted black , rocker panes painted black, license plate painted (italian or some other euro plate yellow /blue) side acoops painted black , engine bay painted black, center stack and transmission tunnel painted black. Some 1:43 I picked up recently and a Mini dump.